Let’s face it, people hate change. They hate having to move from their old job to a new one, they hate having to take a different route home and they hate it when some restaurants change their recipes. America hated Coca-Cola when they created a new coke – which was actually proven to taste better. They hated it so much that Coca-Cola had to bring their classic beverage back before they went out of business. People really do not like change, even though it is unavoidable at some points. Moving your office is no exception to the rule. It is easier to solve a problem when you understand it and why it is happening and moving is no different. Employees might not be accepting of change if they are given little notice on the event, they feel like they will probably have to do a lot of the work that the move involves. Some people might be inconvenienced by the move if their commute to and from work will be affected negatively. It is stressful, because they have to break their routines and become comfortable in a new environment. And people become attached to certain things, such as their view at the office, or their favourite place to get lunch, or even a parking spot. Of course you’re not going to make your employees pack up their desks and make them move it, along with all twelve of those brand new printers you brought last month, right? Right! That’s why there are professionals who are equipped to move your stuff quickly and safely. The last thing you need is to make everyone move their desks and have to buy five new ones because they all broke along the way. 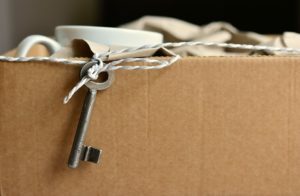 By having a moving company, things are packed and protected the way the need to be and they are placed in the right places when you get there. This will make things a lot easier for you everyone. So once you’ve informed everyone ahead of time of your plans and allowed them to process the change that is about to dawn upon them. Save them the extra stress, as well as protecting your furniture and appliances by hiring professional movers. Better Moves is the perfect company for your office move. They are experienced and professional that allows you to have an efficient move. Visit their website to find out more about their office moving services.